A new urban forestry project is touting Toronto’s tree canopy as one of the lushest in the world, but forestry experts say a lot of work needs to be done to keep it that way. A new urban forestry project is touting Toronto's tree canopy as one of the most luxuriant in the world, but silviculturists say a lot of work needs to be done to keep the city green. "It's great to be celebrated, but it's important to pay attention to how you lose it," said University of Toronto forestry professor Sandy Smith. Researchers at the Massachusetts Institute of Technology recently launched their Treepedia project in collaboration with the World Economic Forum. Using Google Street View, they measured the percentage of land covered by trees in 12 cities across the world. At 19.5 per cent, Toronto ranked fifth — ahead of Los Angeles, New York, London and Paris. Vancouver took the top spot with 25.9 per cent. But with new condos going up frequently here, Smith said she's worried that Toronto's becoming more grey than it is green. "Development pressures are so high, if we're not really careful and don't really focus, we will end up like London and Paris and New York." For Toronto to stay leafy, those who deal in green infrastructure need to become partners in the city's development, alongside developers and architects, she said. Trees provide critical natural functions, including providing shade, mitigating the amount of water flow during downpours and absorbing pollutants from the air, Smith said. "We may think, in a city, that we're sort of insulated and isolated from the necessary benefits that [trees] provide, but I think we'll find fairly quickly that we need them." 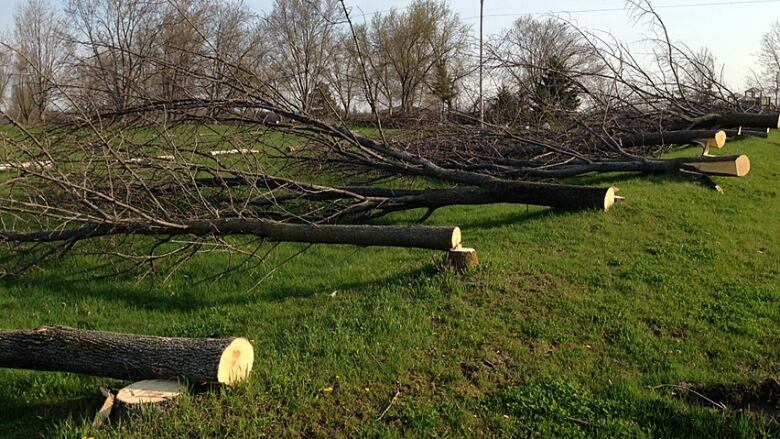 And climate change, ice storms and invasive species are threatening Toronto's tree population. Arborist Stephen Smith said emerald ash borers, a type of Asian beetle, are wiping out the city's ash trees, which make up about eight per cent of the canopy. "There are some neighbourhoods, like parts of Scarborough, that are being just about clear cut because all of the trees are dying," he said. "That's a major stress." To help mitigate the problem, the arborist said more trees, and those of different varieties, should be planted. "That way, if a major infestation happens again, there will be something else there," he said. 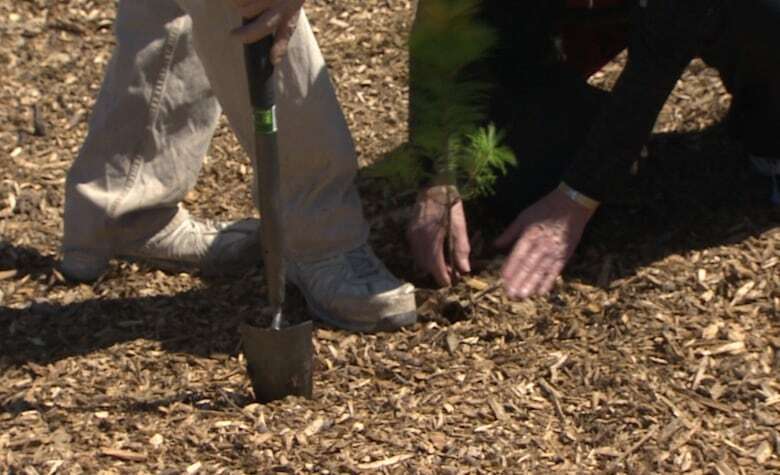 Toronto parks and recreation spokesman Daniel Boven said the city plants an average of 105,000 trees per year on public land, in parks and along roads. Staff planted 113,000 in 2016. As part of the city's tree-planting program, residents can submit a request to have trees planted on publicly-owned portions of their land — in most cases, their boulevards. But, since roughly 60 per cent of Toronto's canopy is on private land, both the city and forestry experts are pushing for landowners to also plant on their properties. "Anybody who owns a large piece of land should be planting more trees," the arborist said. "And they need to take care of them so they can grow to maturity and live a long, healthy life." The city's Tree Planting Strategy is in its infancy, but the goal is to have 40 per cent of Toronto covered by canopy by about 2050.